I arrived on the LAX red-eye to be greeted by light New York rainstorms on the day a legendary DJ would spin. 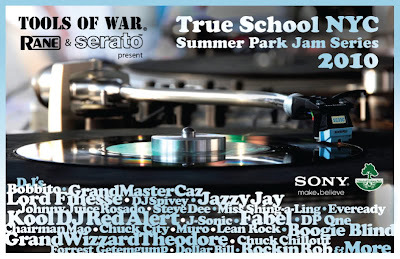 Would the Tools of War park jam be canceled? No fear...the day dried out and the jam started (an hour late,) but what a event! Compared to St. Mary's Park in the Bronx, this Crotona Park jam had more love from the old skool hip hop crowd. What was this DJ doing? Did it involve effects or multiple tracks? In '87, the year before I went to my first New Music Seminar, Cash Money won the New Music Seminar Supermen DJ Battle. A year later he added the DMC World DJ Championship to his titles. How good was - and still is - Cash Money? DMC banned him from competing for the DMC World DJ Championships again to give others a chance of winning?! A decade later in 1998, DJ Cash Money was the first inductee into the Technics' DJ Hall of Fame. On the wheels of steel Cash Money tore up the set, frequently upsetting the power generator with the intense cutting and scratching. Cash Money pulled out the classic rap jams of the 80s and 90s and a handful of breaks and "transformed" them. Literally. The excitement was too much for the soundsystem which peaked out twice. Multimedia Check out the audio interviews with Cash Money, Christie Z. Pabon and fans (courtesy of WNYC radio) and the great video of Cash Money from that evening! Priceless and rare! Here's the playlist The crowd rocked to Cash Money's selection. Part 1: Grover Washington Jnr., The Jackson Five, Joeski Love, Audio Two, EPMD, Fearless Four, Schooly D, T La Rock, Doug E Fresh, Whistle, The Fatboys, Treacherous Three. Part 2: LL Cool J. Part 3: Herman Kelly, Trouble Funk, Soul Sonic Force and Al Naafiysh. Going waaaaay back! I saw Cash Money once in the UK. He was live in east London in the late 80s. And up on stage filming with his video8 was DJ Milo from the Wild Bunch crew from Bristol, UK. 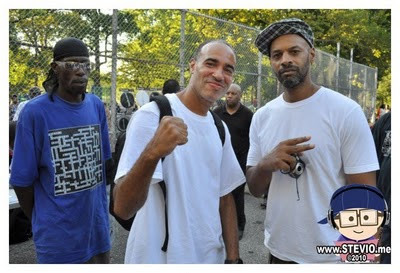 So, it didn't seem that odd to see Milo this week in the Bronx at this Cash Money jam. But, wait... this is 20 years later and we're in New York. It was a crazy moment! 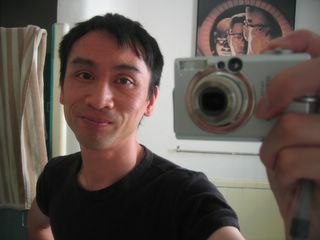 And I have the picture to prove it! 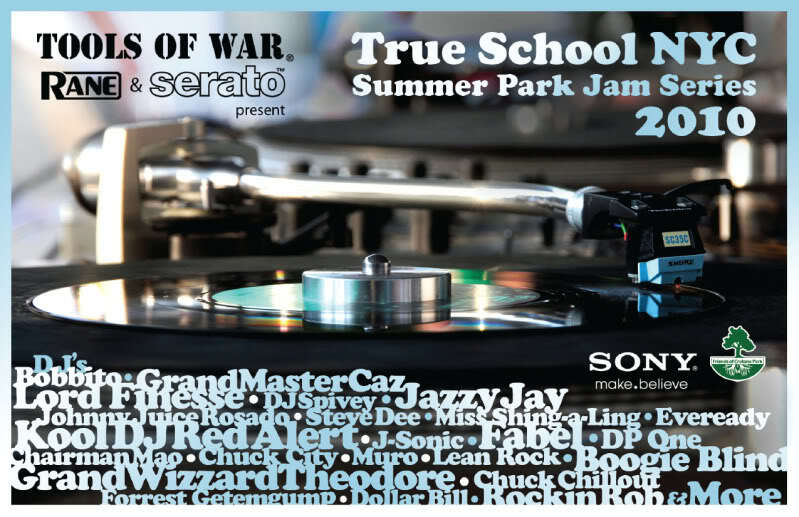 New York...the home of hip hop These park jams have been organized and promoted by Christie at Tools of War for eight years now. The parties are co-hosted by her husband Fabel of the Rock Steady Crew and Cold Crush M.C., Grandmaster Caz. With the Cold Crush Brothers' anniversary party the next day the crowd got a treat with a bit of a history lesson and performance from Easy AD, JDL and Caz. Peace to Christie, Fabel and everyone at Tools of War.